We’re just hours away from what will be a historic game 7. Our beloved Cleveland Indians are perched on the cusp of a victory 58 years in the making. The whole city as stated above is abuzz and we are rallying together behind OUR team. As I reflect on this journey I hear the words of LeBron James, “In Cleveland/northeast Ohio nothing is given – it is earned!” That may not be quite verbatim, but the meaning is there. If you have followed sports over the last few years, you might understand why he made that statement. Everyone counts Cleveland out, that is if you don’t live here. Clevelanders received some flack as the Cavs fought for a championship because we proclaimed and believe there isn’t a fan like a Cleveland fan. We know that there is something in our DNA causing us to proclaim we bleed Orange and Brown, Wine & Gold and of course Red and Blue. 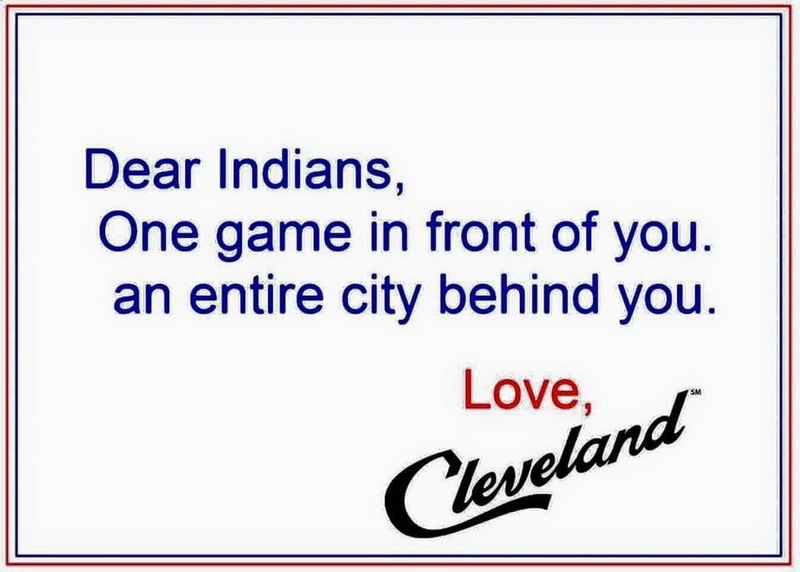 With little exception, Clevelanders stand behind their teams win, lose or draw! If you don’t believe me check out the Browns stadium in any given Sunday when the Dawgs are at home! Better yet, check out the Muny Parking Lot – diehard fans camp out from sunrise to party and cheer on their winless team! Many of us have that same allegiance to the Indians and the Cavaliers even though the attendance stats don’t always prove that theory. It’s been a great year for The Land, so let’s go Tribe – continue the party! Previous Previous post: Women empowering women! Next Next post: Biking is therapeutic!